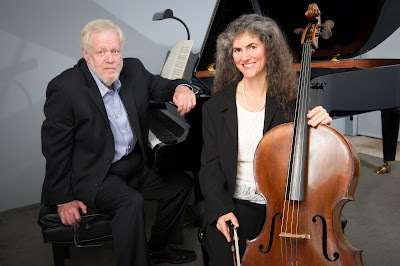 The Artmann/Graber musical partnership began 35 years ago and has included many adventures: a world premiere, Miles running an electronic tape accompaniment, and many memorable recitals. 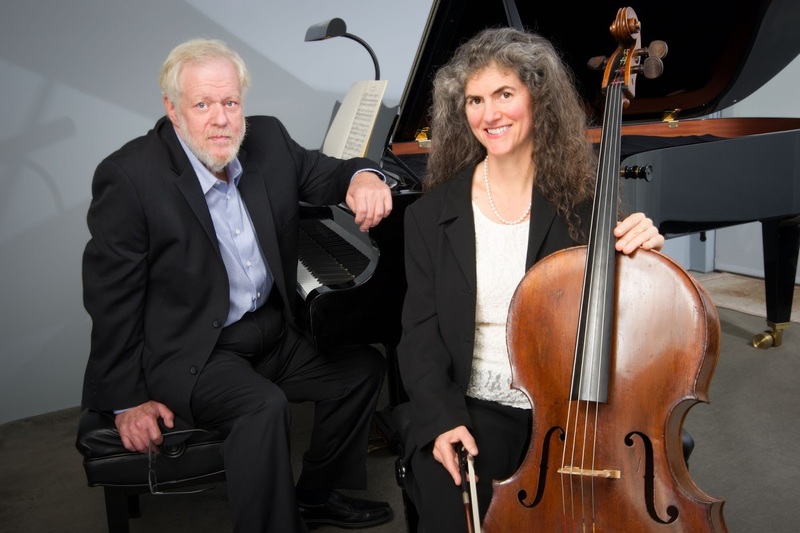 The duo is especially excited to share some of their favorite works by Bach, Beethoven and Rachmaninoff in the intimate Maybeck Studio. Cellist Mary Artmann enjoys a varied career as both a performer and teacher. She spent numerous years living in upstate New York performing with many chamber and orchestral groups, in addition to being an active recitalist. Moving westward, she joined the award-winning Veronika String Quartet, artists-in-residence at Colorado State University-Pueblo. As a devoted performer of new music, she has performed with the Empyrean Ensemble, the SF Contemporary Music Players and the June in Buffalo Festival. She has also performed with the String Orchestra of Hidden Valley and has appeared as a guest artist with the Colorado Chamber Players and the Colorado Bach Ensemble. Ms. Artmann and has served on the faculties of CSU-Pueblo, Mercyhurst College, and Rocky Ridge Music Center. She received grants from the New York State Council of the Arts and recorded for Colorado Public Radio, Radio Nuevo Leon, Radio France, WDR (Cologne, Germany) and WBFO's Opus Classics Series (Buffalo, NY). She graduated with high distinction from the University of California at Berkeley and received a Master of Music degree from the University of Southern California. She was twice the recipient of the Alfred Hertz Memorial Traveling Fellowship, sponsoring intensive study with the legendary Siegfried Palm in Cologne, Germany. She now resides in the San Francisco Bay Area, and has a thriving teaching studio.